This week, as part of membership month, we’re highlighting collaborative efforts that will broaden the circle of organizations advocating for affordable homes for all. A key example is the Opportunity Starts at Home campaign. Together with the Center on Budget and Policy Priorities, Children’s HealthWatch, Make Room, and the National Alliance to End Homelessness, NLIHC launched the Opportunity Starts at Home campaign this past winter to increase the political will to provide resources for affordable housing by bringing non-traditional voices to housing advocacy. The campaign has an active steering committee that represents a wide range of national organizations that support the campaign’s goal and works together to address the affordable housing crisis. Representatives from advocacy sectors like education, healthcare, civil rights, anti-poverty, anti-hunger, faith-based and more are now convening to discuss how everyone can work together to bring about housing justice. The National Alliance on Mental Illness (NAMI) is part of the steering committee and a proud member of NLIHC. “Accessing decent, safe and affordable rental housing is an enormous challenge for adults living with mental illness. NLIHC plays a critical role in convening diverse interests and achieving alignment on critical federal policies such as ensuring that HUD’s programs effectively target extremely low-income individuals and households. In addition, NLIHC has been successful in leading efforts to oppose cuts to important HUD programs such as Section 8, McKinney-Vento and Section 811.” -Andrew Sperling, NAMI’s Director of Legislative and Policy Advocacy and member of the Opportunity Starts at Home steering committee. NLIHC is pleased to have members like NAMI recognize that affordable homes are inextricably linked to their own priorities and concerns. Meeting the needs of the lowest income households is effective when we work together to increase federal investments in proven solutions. Opportunity Starts at Home is a team effort, with excellent leadership provided by numerous partners and supported with a substantial grant from the Funders for Housing and Opportunity. Much of the work NLIHC is able to put into this campaign, especially its development, has been informed and supported by our members. We’re grateful for the members who help us launch exciting collaborations with new partners. 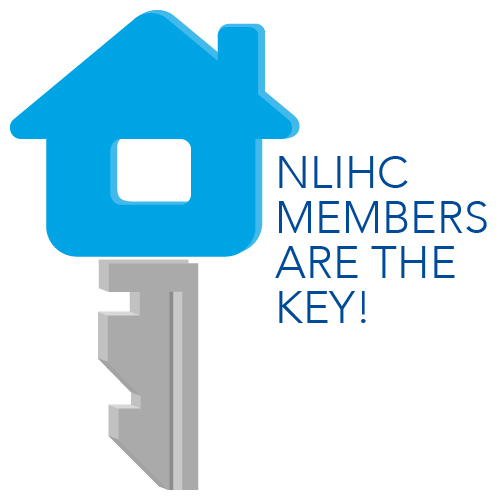 Become an NLIHC member today!